*What would you like the banner to say? 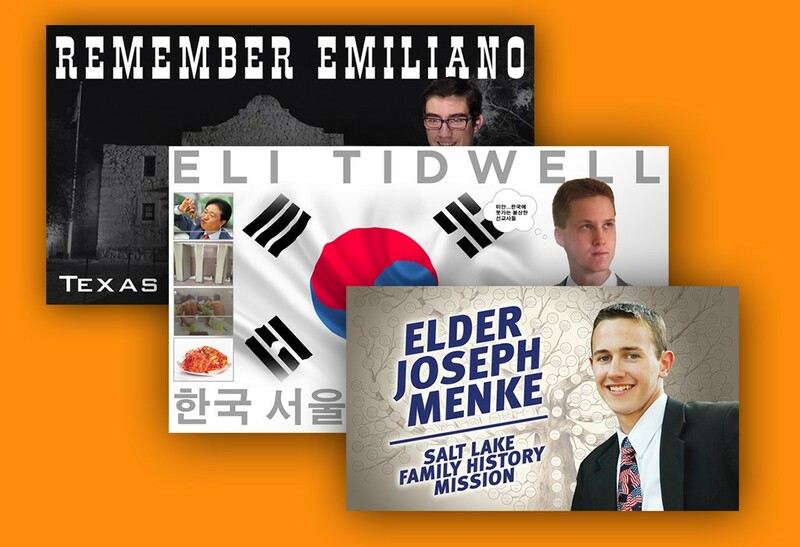 Celebrate a mission call, farewell or homecoming with a custom designed banner. Each banner is custom designed for you by one of our very talented designers. It's simple! Fill out the form, select your photos, and our design department will email you with two different concepts within twenty-four hours. Let us know which one you prefer, and your banner will be printed, hemmed, grommeted and shipped to you. It's really that easy!